Author: Jessica Brown. Jessica is Director of Marketing and Communications at Easterseals Iowa and Camp Sunnyside. She has worked for the organization for more than five years and says the people she has met at Easterseals have changed her life. Jessica loves that her home base is at Camp, where she gets to enjoy the beauty of Camp Sunnyside and see the mission in action year-round. Jessica was fortunate to meet and work with the Foss family, featured in this post. There are many stories of people meeting, falling in love and getting married because of Easterseals Iowa Camp Sunnyside. As we enter the month of February, we wanted to share the story of Marvin and Joy Foss, who have a special interest in Camp Sunnyside. They were both counselors in 1964 and 1965. They married in 1966. They knew each other before they applied to be counselors, but Marvin said it was Joy who got him to Camp Sunnyside. At Camp Sunnyside, Joy has special memories of spending time with her brother Larry; he was a camper with muscular dystrophy the same years she was a counselor. Marvin has memories of heading up the nature department, which earned him the nickname Nature Boy, and serving as the Camp photographer. Marvin later went on to be a journalist in the Navy working with a lot of photography. He also was the photographer and photo editor of the University of Wisconsin yearbook. Last summer Marvin and Joy came back to tour Camp, reminisce and see all of the updates. When they toured, they saw a room in the basement full of old Camp photos. The tour guide said she knew there were many hidden gems in all of those historical photographs, but it was difficult (and a little overwhelming) for staff to find time to dedicate to reviewing and organizing them. Marvin had an idea. He’d been looking for a way to volunteer, had expertise in photography and had great interest in preserving the Camp’s history. Marvin spent hours in the basement at the Camp office. He hauled boxes and boxes of photographs to and from his home so he could look at slides and photos from the comfort of his easy chair. He found some amazing photographs, including a photo of the first Camp Sunnyside counselors. 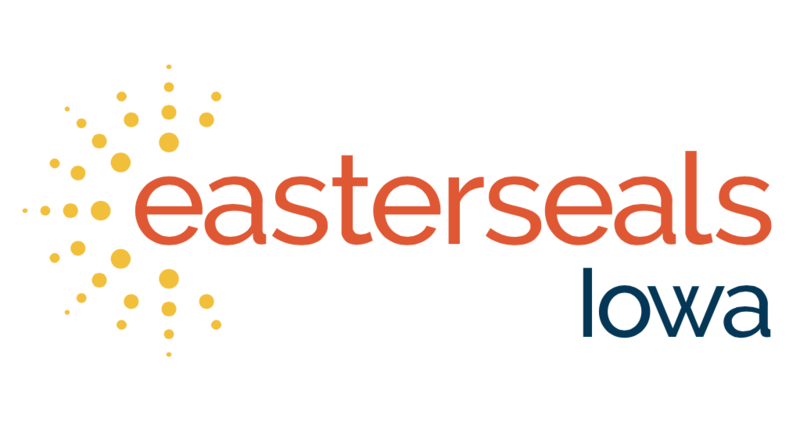 Because of his commitment, Easterseals Iowa has some amazing photographs, now organized, that document our history and all of the amazing clients, campers, counselors and groups supporting Easterseals Iowa. Marvin and Joy truly love people, no matter their situation. Together they have made a life of not only supporting people with disabilities, but also helping educate others to build understanding and acceptance. Marvin was awarded the Camp Sunnyside Heritage Award at the Easterseals Iowa 2018 Annual Celebration in recognition of his commitment to preserving the history of Camp. Easterseals Iowa is very fortunate to have Marvin and Joy as important parts of our history and future!